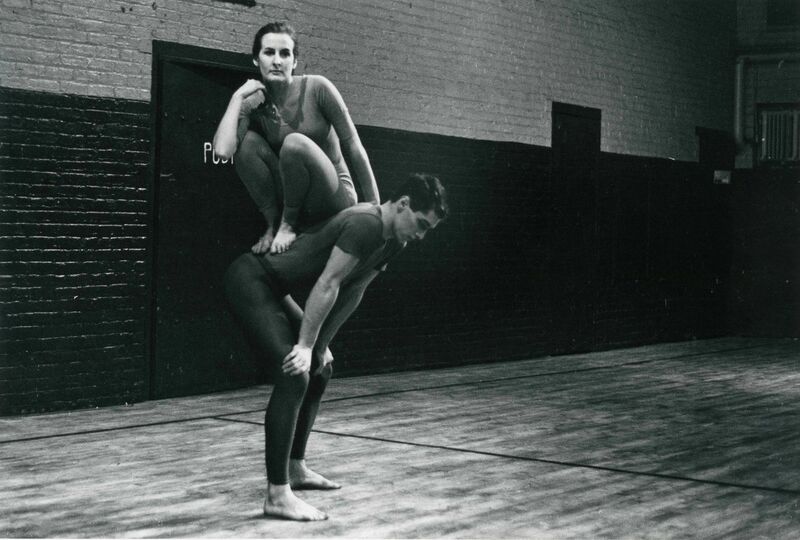 For a brief period in the early 1960s, a group of choreographers, visual artists, composers, and filmmakers made use of a local church to present performances that Village Voice critic Jill Johnston declared the most exciting new developments in dance in a generation. Redefining the kinds of movement that could count as dance, the Judson participants—Trisha Brown, Lucinda Childs, Philip Corner, Bill Dixon, Judith Dunn, David Gordon, Alex Hay, Deborah Hay, Fred Herko, Robert Morris, Steve Paxton, Rudy Perez, Yvonne Rainer, Robert Rauschenberg, Carolee Schneemann, and Elaine Summers, among others—would go on to profoundly shape all fields of art in the second half of the 20th century. Taking its name from the Judson Memorial Church, a socially engaged Protestant congregation in New York’s Greenwich Village, Judson Dance Theater was organized as a series of open workshops from which its participants developed performances. Together, the artists challenged traditional understandings of choreography, expanding dance in ways that reconsidered its place in the world. They employed new compositional methods to strip dance of its theatrical conventions, incorporating “ordinary” movements—gestures typical of the street or home, for example, rather than a stage—into their work, along with games, simple tasks, and social dances to infuse their pieces with a sense of spontaneity. Judson Dance Theater: The Work Is Never Done highlights the ongoing significance of the history of Judson Dance Theater, beginning with the workshops and classes led by Anna Halprin, Robert Ellis Dunn, and James Waring and exploring the influence of other figures working downtown such as Simone Forti and Andy Warhol, as well as venues for collective action like Judson Gallery and the Living Theatre. Through live performance and some 300 objects including film, photographic documentation, sculptural objects, scores, music, poetry, architectural drawings, and archival material, the exhibition celebrates the group’s multidisciplinary and collaborative ethos as well as the range of its participants. The Work Is Never Done includes a gallery exhibition, a print publication, and an ambitious performance program in the Museum’s Donald B. and Catherine C. Marron Atrium.